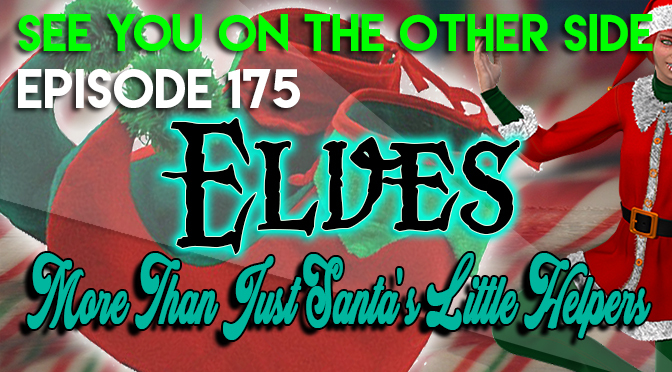 This week, Mike and Wendy catch up after an incredibly busy week. Whilst Mike was in the process of relocating from Minneapolis to Madison, Wendy took a spontaneous road trip to Nashville to spend some time with her sister. Nashville is, of course, rich with music and history. While in the city, Wendy took the time to visit a few locations that have legends of ghosts. 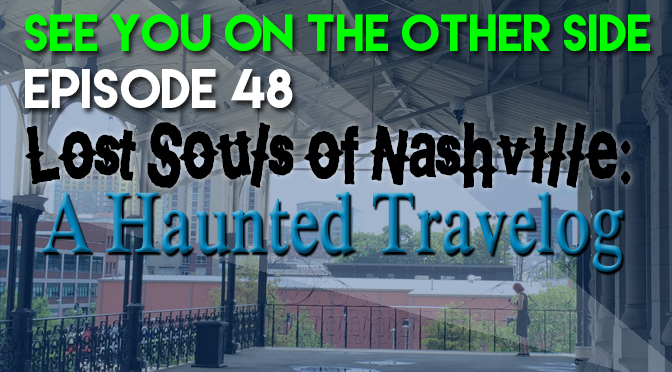 This enormous resort, located on the former location of the Opryland USA Theme Park, is rumored to have the ghost of a woman dressed in black who wanders its many atriums and hallways. Several different ghost stories surround this location, including the theory that the ghosts of a derailed train linger at their last living stop, as well as a recurring scene of a soldier bidding farewell to his lover as he leaves for war, never to return. “The soul of the city”, Ryman Auditorium has a long history of incredible musical acts. Many of these performers are rumored, after death, to continue visiting the theater they so adored. 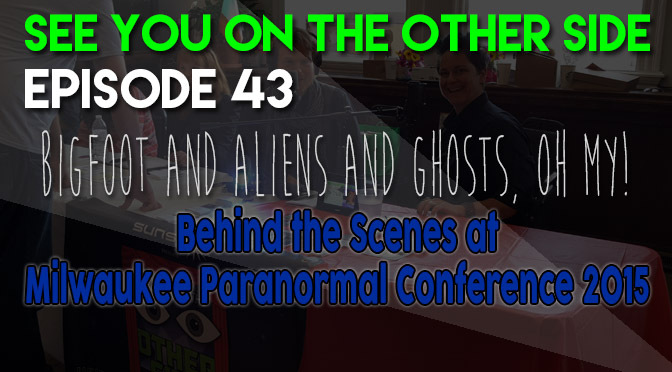 It’s a special episode as this week we’re recording from on location at the Milwaukee Paranormal Conference! 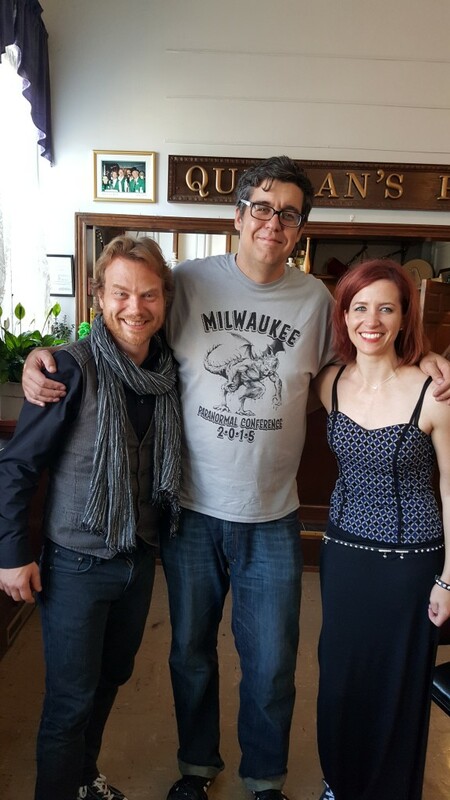 Mike and Wendy combine forces with Milwaukee Ghosts’ Allison Jornlin and Madison Ghosts Walks tour guide Lisa Van Buskirk! 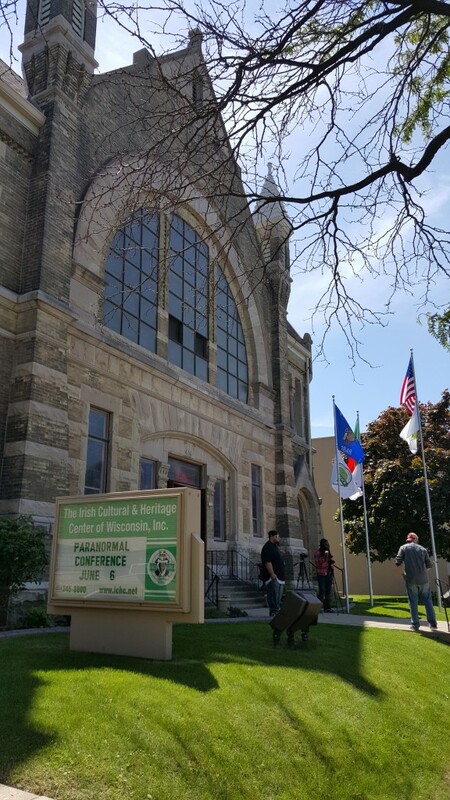 The event takes place at the Irish Cultural Center in Milwaukee, Wisconsin, where a large chapel-like area hosts the main speakers for the conference, and a few side rooms host booths for attendees like us. 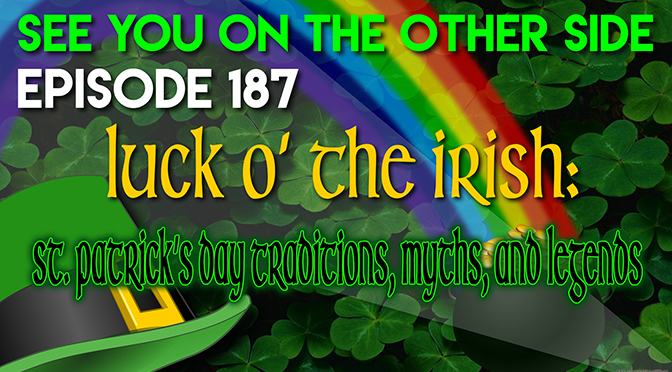 It’s a regular party at our booth, which has a color-changing disco light and is conveniently situated directly adjacent to an Irish Pub within the conference center. 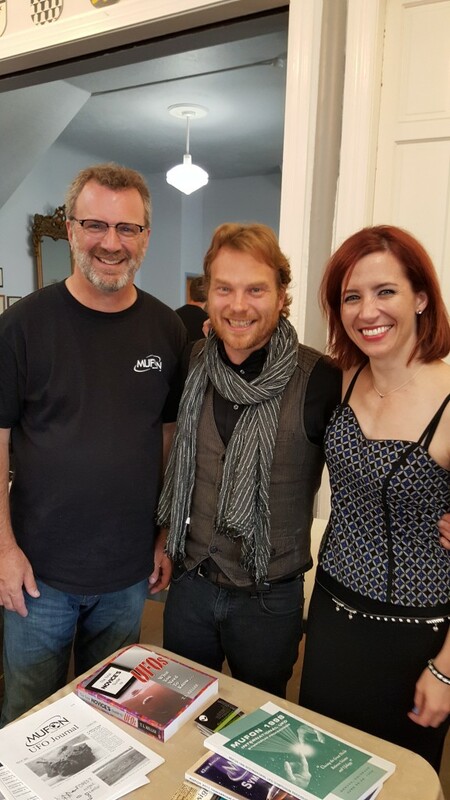 We meet plenty of nice people while sharing information about our podcast and ghost tours, and we ask willing volunteers to share with us the weirdest thing they have seen or experienced. 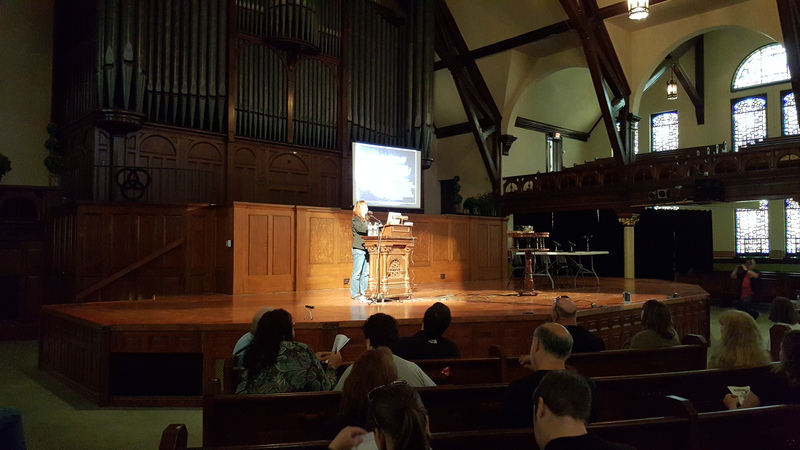 Kicking off the conference was Allison from Milwaukee Ghosts’ presentation on Milwaukee Forteana (which is another word for unexplained and weird stories!) The main room really was a beautiful old church that Martin Luther King Jr. spoke at in the 50s! The exhibitor hall is a hustling, bustling place with a continuous din of excited conversation clearly audible throughout the interviews. 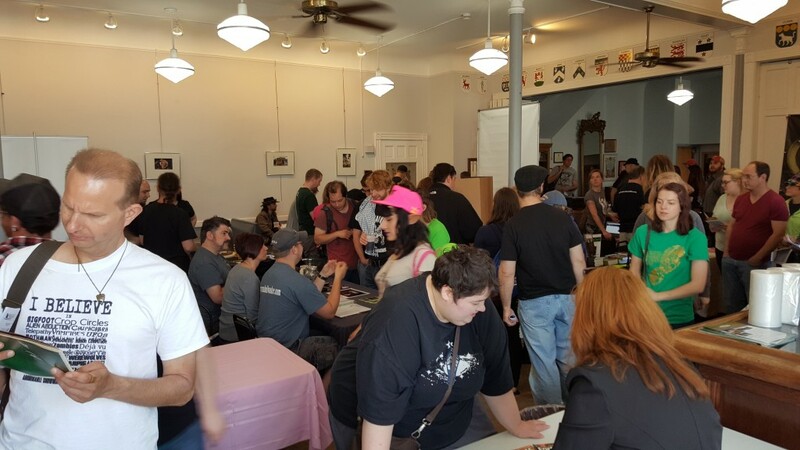 The exhibitor hall was packed all day long! Justin shares a couple experiences he had with a ghost who haunted his friend’s apartment in West Bend. Malia (of the band Ocean Rush) tells a terrifying tale of her encounter with a giant black mass that appeared as she performed “Don’t Fear the Reaper” in her studio. Vicki lived in a home which was inhabited by a musician ghost who would appear when she played the piano, and would wake up her son in the night with the song “Let Me Call You Sweetheart”. Haley had a week of terror during a stressful time in her life which included a weird presence touching her wrist and pulling her hair, her cat going crazy for no reason, and other unexplained happenings. Lisa had a roommate who seemed to be surrounded by unexplainable occurrences. Were these events caused by the spirits of tragically lost family members? Jackie & Shannon, of Stateline Paranormal Investigations, visited a graveyard in Poplar Grove, Illinois. At the same time and place within the graveyard, Jackie acquired an EVP (Electronic Voice Phenomenon) clearly stating “Here I am. He killed me.” and Shannon got a photo which revealed flames emerging from the ground. Nicki tells about a mysterious miniature hand print that appeared on her bedroom wall. Although it was initially quite frightening, the marking eventually brought a positive experience to her. Chris of The Zombie Squad tells about an apartment he lived in that was above a haunted restaurant. Kristan of The Rundown Live talks about GIANTS! While doing some research, he discovered information about abnormally tall/large skeletons of people, which some believe could have been human/alien hybrids. Monica tells the story of her own childhood experience with a Ouija board. Through routine playing with the board, she and her brother started getting answers that actually checked out and led them to a local graveyard that they did not previously know of. David and Dave, fellow podcasters from Blurry Photos, share what drew them into the world of “weird stuff”. Then they share their own weirdest experiences: a dream so real it could have been an actual alien abduction, and a visit from a giant shadow presence that may have actually broken a hole in the living room ceiling. 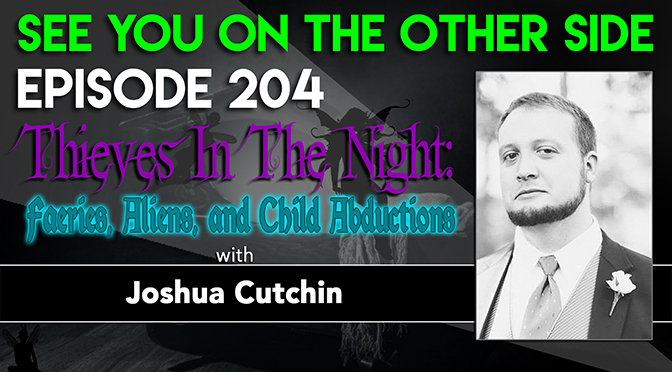 Tea Krulos, event organizer and author of the brand new book, Monster Hunters: On the Trail with Ghost Hunters, Bigfooters, Ufologists, and Other Paranormal Investigators (also our featured guest in Episode 25), recaps the day and receives a special delivery from none other than Bigfoot herself during the interview! 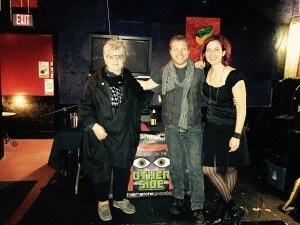 Mike and Wendy with Tea Krulos, the man behind the Con! That hairy dude is desperate for a cute dancing partner. The main problem is that his feet are just too big to dance. is he ape or is he human? but when we dance those gosh darn feet are just too big for me. but he’s not the sweet beast we saw embrace the Hendersons. I’m not gonna, how about you, tell him “get out of here”? He’s grunting and pounding his chest, he’s looking right at me. And now’s the time I think we all should polka out the door. Feet too big, feet too big, feet too big to dance, Hey! Bigfoot’s come, we better run from those feet too big to dance, hey! Mike has been obssessed with zombies since he was a little kid and he even mentions his traumatic first encounter with George Romero’s Night of the Living Dead (where he was tortured by his sister, frequent podcast contributor, Allison Jornlin of Milwaukee Ghosts), and that’s where the discussion begins, as should any discussion with impact of zombies on pop culture, because that film is really where our traditional idea of flesh-eating zombies comes from. Taking his inspiration from Richard Matheson’s brilliant I Am Legend adaptation, The Last Man on Earth (Vincent Price, not Will Forte) and also from the Arabic legend of the “ghoul” (flesh-eating djinn that hang around graveyards, sound familiar? ), Romero created a new kind of shuffling terror, more dangerous in numbers than alone. 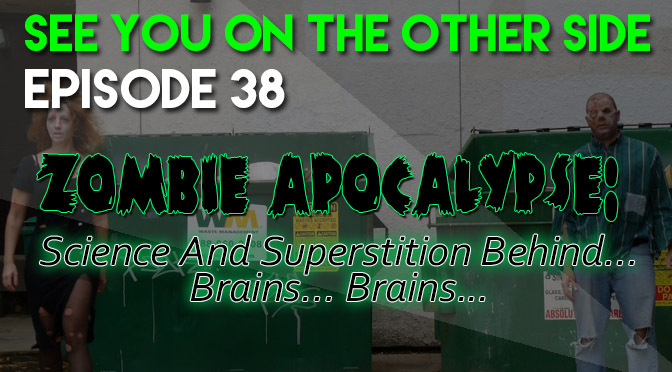 With that, Mike and Wendy discuss fast zombies and zombie movie remakes for a little bit before getting into how a zombie apocalypse could really happen. First talking about toxoplasmosa gondii, which is a brain parasite that only grows in the stomach of cats. When it infects rats, it makes them run towards felines because it wants them to be eaten so that it can get into that cat belly! Terrifying that it can change rat behavior into something completely suicidal, but even more terrifying is that 50% of humans are already carrying the parasite. Could this be a reason that we domesticated cats and can it affect our behavior? Well the jury is still out because the science is controversial, but a link was found between the parasite and schizophrenia. The conversation turns towards how even the Centers for Disease Control in Atlanta have been using the idea of a zombie epidemic to teach crisis preparedness, going so far as publishing a graphic novel about what people should do if a zombie apocalypse were to lurch its way through America. And then the talk finishes with how a television station that Mike used to work for, Newschannel 8 in La Crosse, Wisconsin, accidentally sent a warning out about the dead rising from the grave on its Emergency Broadcast System in 2013. Just how did that happen? 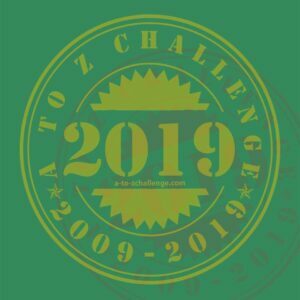 Today’s Song is “I Was A Teenage Zombie” by Sunspot. I’m a Famous Monsters late night picture show. Mike and Wendy start out the show with a quick discussion on how Mike is happy that they didn’t mention the Twin Peaks revival in last episode’s song about The X-Files, “Don’t Mess This Up” because now it looks like that revival is in jeopardy of not happening. After going through the definition of medium last week, they talk a little bit about the interview. Mike once again described why he doesn’t believe in orbs when it comes to ghost pictures and the importance of keeping an open mind when talking to people with extraordinary claims. 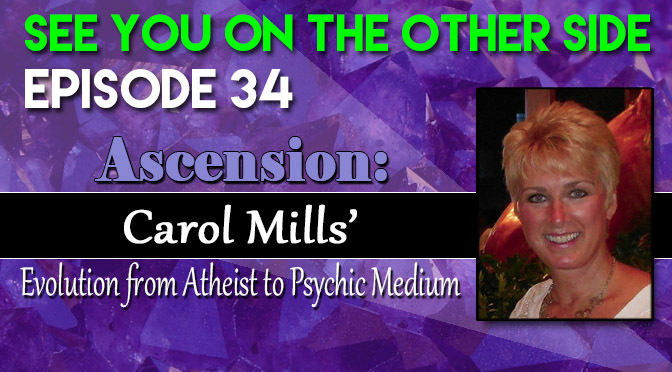 Then we talk with Carol Mills on how she grew up in a family of atheists and had never even been interested in the paranormal until the loss of her dog, Jake, who she calls her spirit animal soul mate. It was Jake communicating with her from the other side that led her to believe that she was sensitive to spirits that wanted to communicate with the living. From there, we talk about how she senses spirits and other entities and doesn’t ever sugarcoat the messages that she receives. She does mention how she has been getting many dark readings as of late and we discuss a little the war between the light and the dark for human souls. 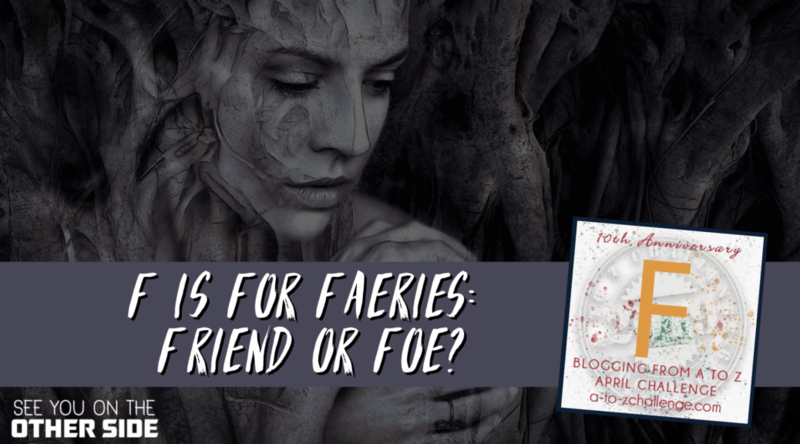 We talk about “in-betweeners”, entities that aren’t human but fairies and goblins that like to mess around with humans. She talks about her “ascension”, a word she uses for her evolution to someone who doesn’t believe to someone who can pierce the veil, and how her life changed when she started her business as a psychic medium. Then we finish with a message for all the podcast listeners to “Stay in the light!” and we play a song inspired by the interview, “Ascension”. The dark and the light they want you. everyone competing for your mind. You can see things like no one else. you’ve got to leave your friends behind. More than a human now. This week we bring you a special bonus episode, outside of our regular weekly release, because we had an exciting opportunity while en route to Austin, TX. After leaving Alton, IL (see Episode 30), our next stop was Little Rock, Arkansas, where we had the pleasure of meeting and talking with local paranormal expert Linda Howell. Linda is the guide for Haunted Tours of Little Rock, which showcases the historical locations and stories of many hauntings in the area. Linda is also author of the book Haunted Little Rock, which takes the reader on a self-guided tour of historical/haunted sites in Little Rock. It’s a wonderful companion to bring along if you want to see the sites on your own, but if you aren’t able to make it to Little Rock, the book paints wonderful pictures of the locations while telling the very interesting tales of ghosts and spirits who inhabit these places. Mike is happy to see the Revolution’s sandwich board with our show on it! 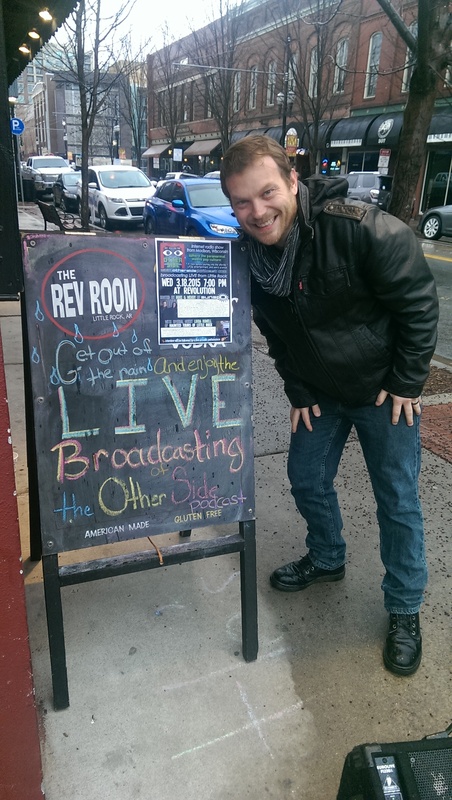 The location of the interview was at Revolution Room, located in the downtown river market area, and very near the actual “Little Rock” where the city first originated. Although it was quite gloomy and rainy outside, we found Revolution to be a warm and welcoming place for talking about the haunted side of Little Rock. 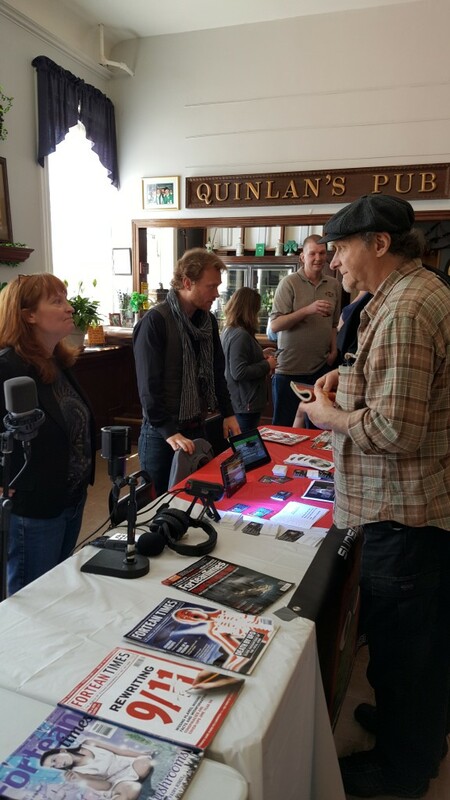 We really enjoyed talking with Linda, as she has an incredible wealth of information on the history and hauntings in the area, and is a wonderful storyteller with a very open mind. When you’re in Little Rock, make sure to schedule time for her tour… We definitely hope to someday! 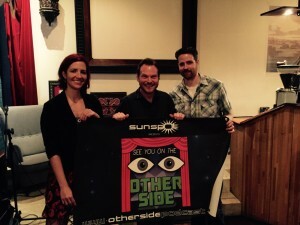 Our band Sunspot will release a brand new EP on 3/17/2015, featuring three of the songs we wrote just for this podcast. We’re in the studio now working on it and pretty excited to finish up and get the final versions out for you to hear! 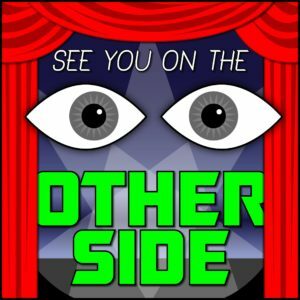 On our way to the South by Southwest (SXSW) music festiveal, we’ll be making two stops for the first ever SEE YOU ON THE OTHER SIDE live broadcasts! We’ll be interviewing fascinating people and then playing a live set of acoustic songs for everyone. 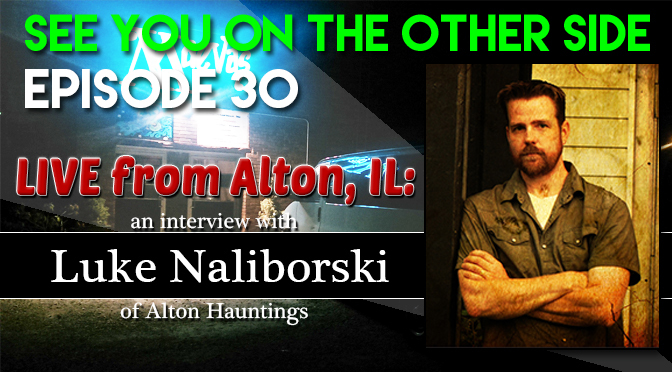 3/17/2015: We’ll be in Alton, IL to interview Luke Naliborski of Alton Hauntings, a paranormal author (Lighter Side of Darkness (Haunted Field Guide) ) and speaker. 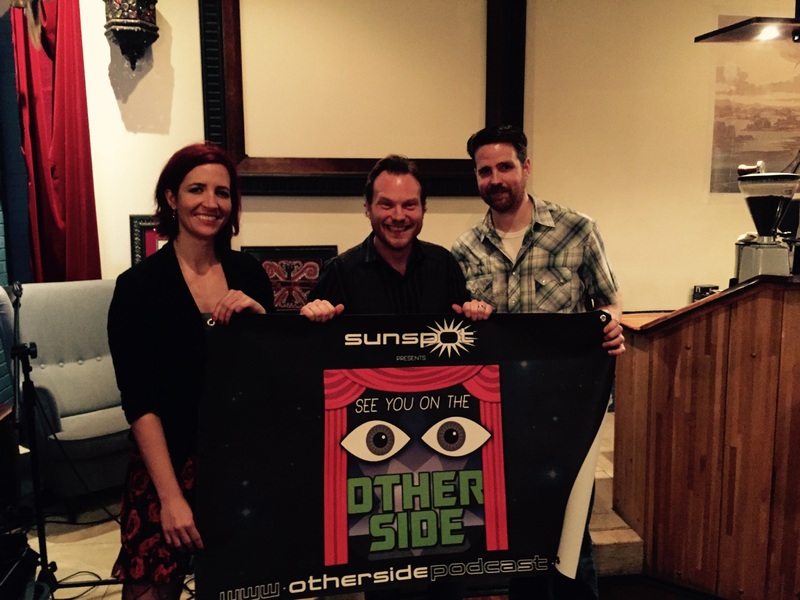 Following our discussion, Mike and Wendy will perform some acoustic songs for everyone. 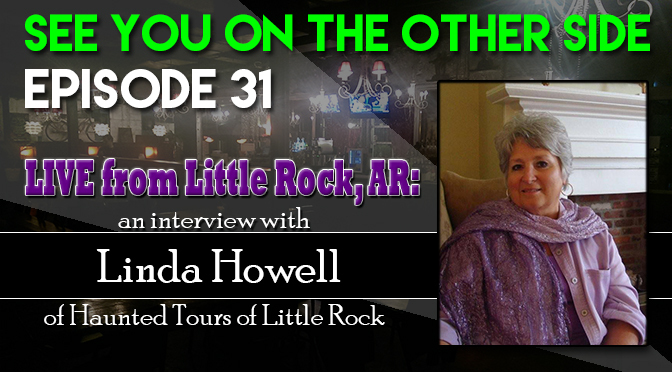 3/18/2015: We’ll be in Little Rock, AR to interview Linda Howell of Haunted Tours of Little Rock. She provides the “Haunted Evening Tour” of Little Rock which encompasses many of the sites in her book, Haunted Little Rock (Haunted (History Press)) . Podcast reviews- WE MET OUR FEBRUARY GOAL! Thanks to everyone who went into iTunes, clicked the 5 stars, and made nice comments for us. In a future episode, your reviews will be, as Mike says, “autotuned” into a special song just for you. Welcome to the new listeners! Since we’re heading to Texas in a couple of weeks, Mike and Wendy take a quick detour from announcements to recall the time Sunspot visited the famous haunted tracks there. His shared identity with Mr. Spock, as he talked about in his two autobiographies, I Am Not Spock (1975) and I Am Spock (1995). The Vulcan salute was Nimoy’s idea, based on the hand formation Jewish priests use while performing blessings. Many characters from Star Trek, such as William Shatner , continued to use their characters in ridiculous ways following the series, but Leonard Nimoy had a presence that was less joke-like and more serious. He embraced the character of Spock and brought it into his other projects. 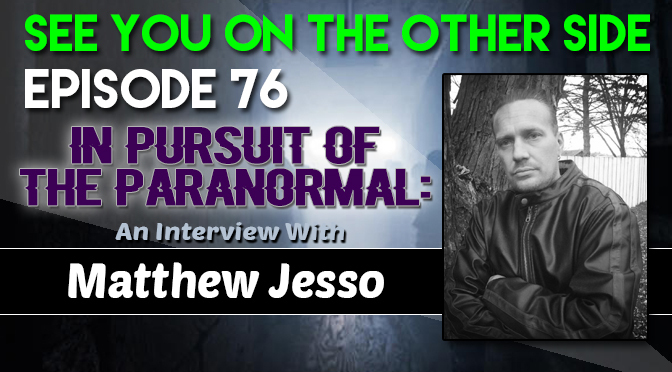 Of particular interest and inspiration to us, he hosted the show In Search Of, a pioneering program about the paranormal featuring tales of ghosts, ancient aliens, etc. In the show, Nimoy questioned the “unexplained phenomena” of the unknown, which at the time was very unique and uncommon programming for television. The Episode Mirror Mirror featured an evil version of Mr. Spock, who was Nimoy but with a goatee. The practice of using the same actor, but with a goatee, to represent an “evil twin” has become popular in many other shows and movies since then. Many people provided special tributes to Nimoy when the news broke of his passing. Nimoy directed the movie Three Men and a Baby, which also has a legendary ghostly figure in one of the scenes that caused quite a stir when the movie came out on video. However, it was later found that the “ghostly child” was a cardboard cutout of Ted Danson (cue the sad trombone). So many of the people we know were affected by Nimoy/Spock and his multitude of creative projects, and it was clear on the day of his passing through all of the social media comments everywhere. This was the perfect example of the power that a really good artist can have on the world and human experience. 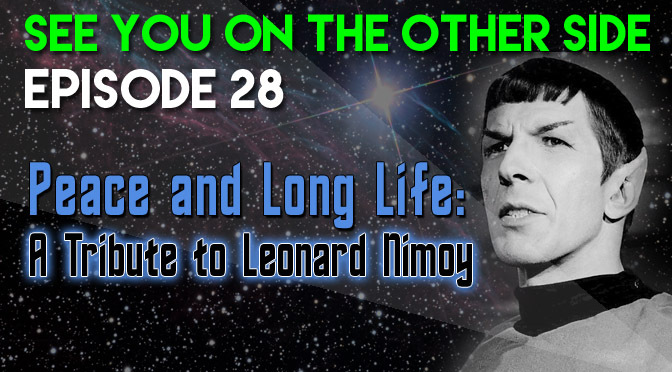 Let us know if you have any special memories or tributes for Leonard Nimoy! and your best friend is your TV. a dude with pointy ears, well. we learned how to play the game. reruns just ain’t the same. we could use some more logic. are greater than the needs of the one? Makes you an evil son of a gun? to the Devil in the Dark. See you in Sha Ka Ree, my Mister. when Bones would call him a halfbreed. that move could knock you out, damn. it weirded out my little mind. could use some more of your logic. are greater then the needs of the one? We’ll see you in Sha Ka Ree, my Mister. 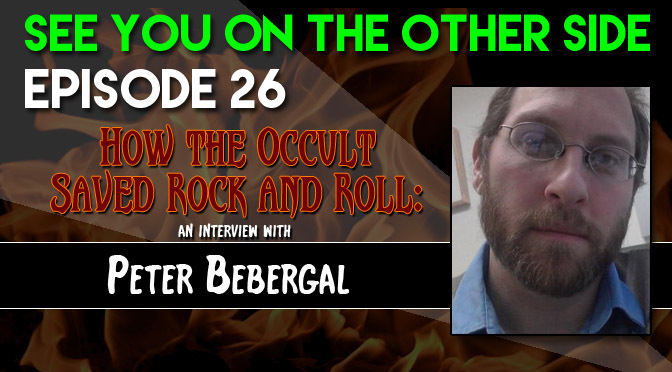 Today we interview Peter Bebergal, author of the book. Season of the Witch: How The Occult Saved Rock n’ Roll, which is a fascinating look into how the occult slipped into the mainstream through the music of the Baby Boom generation. Rock n’ roll created the perfect storm of the Beatniks interest in Eastern mysticism, the Animism roots of slave spirituals and Gospel music, and the Hippie embrace of the Age of Aquarius. Mike and Peter first discuss their mutual love of Dungeons & Dragons and then move on to an interview that Wendy describes as “like a vortex of weird geeky intelligence”. They get into how Robert Johnson actually was not the blues artist who had sold his soul to the Devil and how mystical and magic themes spread through the music of the 60s’ counterculture. Then The Great Beast Aleister Crowley rears his ugly head, David Bowie’s cocaine-fueled fascination the weird enters the conversation, they discuss Peter’s favorite modern acts that use occult symbolism (it’s not just Mötley Crüe anymore! ), and a whole lot more as they get into the nuts and bolts (or should we say, eyes of newts and toes of frogs instead!) of Peter Bebergal’s incredibly well-researched and thought-provoking book. And I’m looking for something I can’t find around here. they just bore me, just bore me. and anything that I catch has gotta floor me, dance for me. so let’s raise up the horns to Devil Music! instead of waiting to die, just waiting to die. instead of watching life go by, life go by.